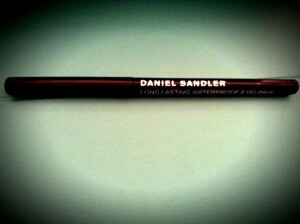 Daniel Sandler’s Long Lasting Waterproof Eyeliner in Black Velvet is by FAR the best eyeliner I have ever used. I have always wished I could wear eyeliner on my top lid, but have never been able to after many attempts when I have ended up looking like a panda! I don’t know how many photos I was tagged in (on facebook) where I had the blatent semi circle of eyeliner on my upper lid where it had rubbed off from just above my eyelashes..but far too many! It looked so tacky, so I vowed to be a bottom lid-liner girl from then on. That is until now..
You may already know this after reading some of my other reviews, that I have a serious love of Soap & Glory products. I love the sugary smell, the pinks/whites/silvers of the retro glamour packaging and the quality of ingredients. 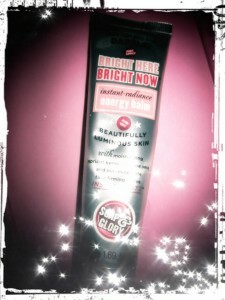 I don’t think I have been let down by a Soap & Glory product as yet and this energy balm is no different. 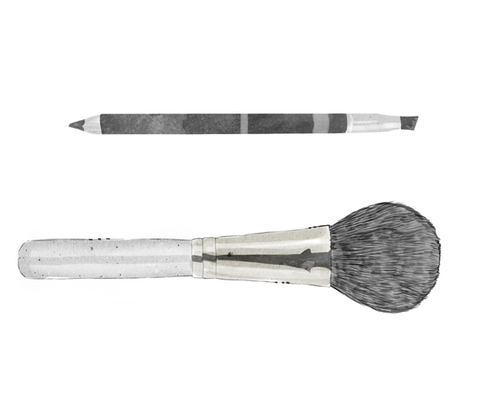 The balm is multi-functional, it can be used as a primer, highlighter or body shimmer. I love putting it under my eyebrows (only a teeny tiny bit) then massaging the balm up and out towards the edges of my face to raise my eyebrows and make them appear in perfect shape. The skin becomes taught when the balm is applied and the eyebrows seem to stay perky all day! Ok so at £35.00 it’s more expensive than usual mascaras, but it promises to actually extend my lashes and make them appear thicker, so I give it a go. The process of application is easy first the Extension Mascara is applied evenly over the lashes and then following this use the Lash Fibres over the top. This makes your lashes white but don’t worry the following coat of Extension Mascara will turn them a deep shade of black or brown depending on which you choose. Mega point: remember the top of your lashes too because without application of the Extension Mascara, when you look down the white is visible and it looks awful to say the least. The hype around this product was immense. I was so excited thinking about all the spare time I would have now that I wouldn’t have to apply fake lashes anymore. This product was going to give me the gift of time! Unfortunately, for me, it didn’t live up to the hype, and here’s why. 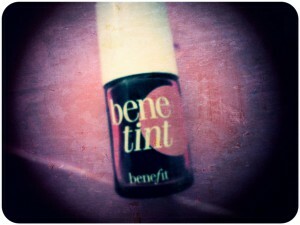 I spent £40 on this 3ml product and I was expecting great things for such a steep price tag. So I used it religiously every day checking to see if there had been a dramatic difference, and there was the flaw. My lips have always been thin and on every application of lipbalm, lipstick and lipgloss I would think to myself, ‘Why wasn’t I blessed with Angelina Jolie’s lips?’ So when this new product came on the market I was straight in line to buy it. It’s a simple two stage process it said, first use the purple side which is called ‘Lip Contour Smoothing Cream’ around the edges of your lips and rub in. 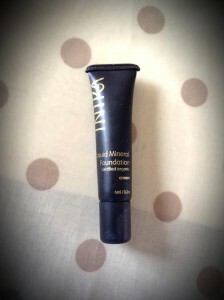 Then use the white side ‘Lip Plumping Cream’ as you would a lip balm. I have to say I saw results after a few days. Nobody can deny my lips seemed bigger and I could do a much more impressive pout than ever before.